In the Lakes Region, water quality protection begins at home. 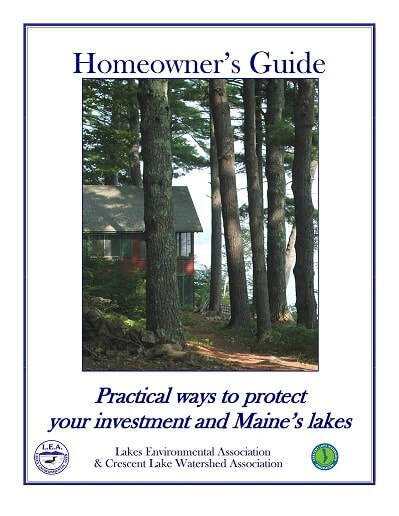 ​The Lakes Environmental Association (LEA) prepared this booklet and has granted permission to the Crescent Lake Watershed Association (CLWA) to modify and distribute it to give Crescent Lake landowners a guide to protecting their lake. Our lakes are fragile, so every effort to protect them, no matter how small, is meaningful, especially when multiplied by what hundreds of other watershed landowners can do. We hope this guide will help you make a contribution to this important cause. ​Click on page numbers below to view or download specific sections. ​Click here for full version. Where does the rain go and why should you care?